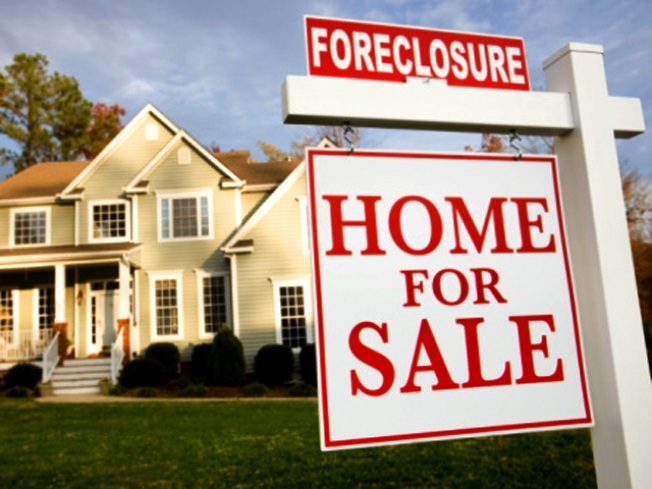 Strategic foreclosures growing trend in areas hard hit by real estate meltdown. Imagine standing at the bottom of a hole 30 feet deep. The only way you are ever getting out is by filling that hole back up with dirt. Your tool for the job? A thimble. Think you might feel as if you are never getting out? Well, that is exactly how homeowners who owe hundreds of thousands of dollars more than their properties are worth feel. Sure, they could continue paying the monthly mortgage, but it may be decades before they could ever hope to break even. A strategic foreclosure is when a homeowner takes advantage of today’s rock-bottom prices to buy a new home (across town, or even just across the street), then, once settled in, walks away from the first. Peter Kovacs is a mortgage banker and broker in Patterson, a city in California’s Central Valley. The valley is one of the nation's hardest hit spots by the mortgage meltdown. Kovacs says he has been approached by more than one homeowner looking for help in pulling off a strategic foreclosure. “The perception that it’s legal, socially acceptable, and not having any consequences is what’s driving it,” Kovacs says. The downside for the homeowner in a strategic foreclosure is a credit rating ruined for up to seven years. Still, many consider that a minor inconvenience when you look at the upside: out from under crushing debt , yet still owning a home (with a mortgage payment a fraction of what it was). When you consider that a newer home will likely increase in value, it cinches the decision. Using publicly available records, we found one example of what a strategic foreclosure looks like. A Patterson couple bought a 2,300 square foot home at the height of the market in 2005 for $496,000. According to the real estate website Zillow.com, that home is now worth only $160,000. That’s a $336,000 hole. Still, in January of this year, that same couple bought another, larger home (barely a mile from the first) for just $245,000. Then, barely six months later, a notice of default was filed on the first property -- the first step toward foreclosure. Kovacs believes there are hardship cases where a strategic foreclosure makes sense; one where due to job loss or other financial hardship, the owners would lose the first home no matter what they did. Still, he thinks greed is at the heart of many strategic foreclosures. Greed is what got many people into the mess in the first place, Kovacs believes. According to an attorney with the Stanislaus County District Attorney's Office, as long as a homeowner does not lie on any of their loan documents, a strategic foreclosure is not illegal. Also, if the homeowner is walking away from the home's original loan, as opposed to a refinance or home equity loan, the bank has no recourse to go after the homeowner for repayment of the mortgage. "It may be legal, but it's certainly not moral," is how that attorney put it to us.